— Why they look at that girl with those faces? What has she done? 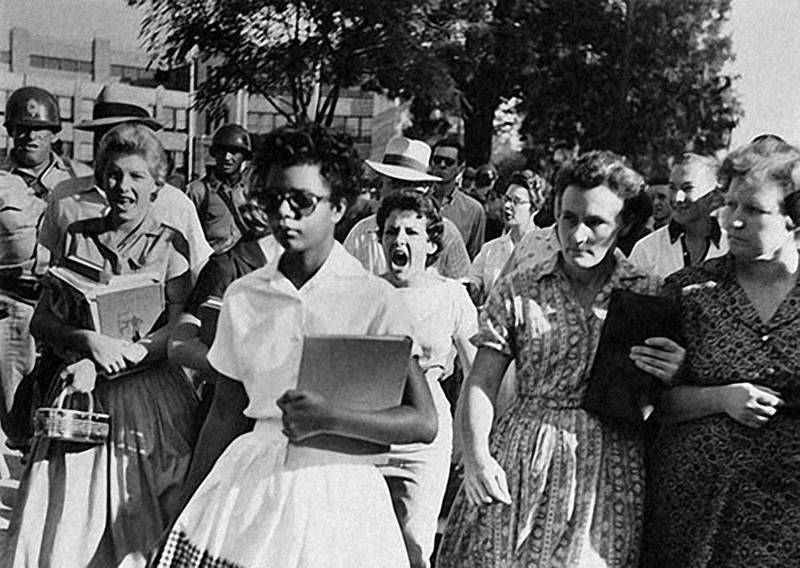 Elizabeth Eckford was a girl of 15 when the ‘bosses’ of his country outlawed racial segregation in schools. Yes, my child, until recently, black children could not go to school with white children because their parents did not consider them equal and they wanted!… Notice that nonsense! Today there are children in your class of all countries. On September 4, 1957, when your father was not yet born, Elizabeth and eight black companions were presented at the Arkansas Little Rock school. One of the most racist and with most hatred of that country. A drooling angry crowd insulted and shouted them, preventing their entry into the school during the day and beyond. Just because they did not like the color of their skin. Neither the mediation of President Eisenhower managed to calm things down and all State schools closed for a year to avoid incidents and make a peaceful transition. Elizabeth later went to college and eventually became a professor in the same school one day they denied access. Remember that all films have a moral? Then the one in this movie, real as life itself, gives a masterly lesson to the cowards who hate only for the persons’ colour. — What nonsense, isn’t it? 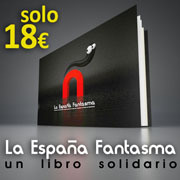 — How cool, I want! 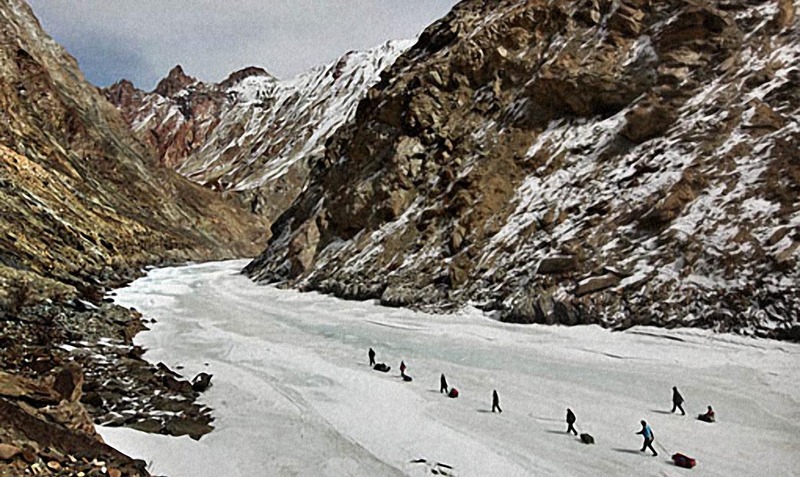 Over 12 million Nepalese live in the vicinity of the Himalayas. The area with more mountains and higher peaks around the globe. There are almost no roads, no highways, no bus stops. A territory divided by thousand valleys and many other plentiful rivers that prevent the normal movement between towns and villages. Children use handcrafted bridges made with planks, improvised ropes and pulleys, like the adventure tyrolean traverses as you like so much but without harnesses and double security restraint. For decades, this lack of security has caused numerous accidents, many kids like you who get up at dawn just to get to school on time. 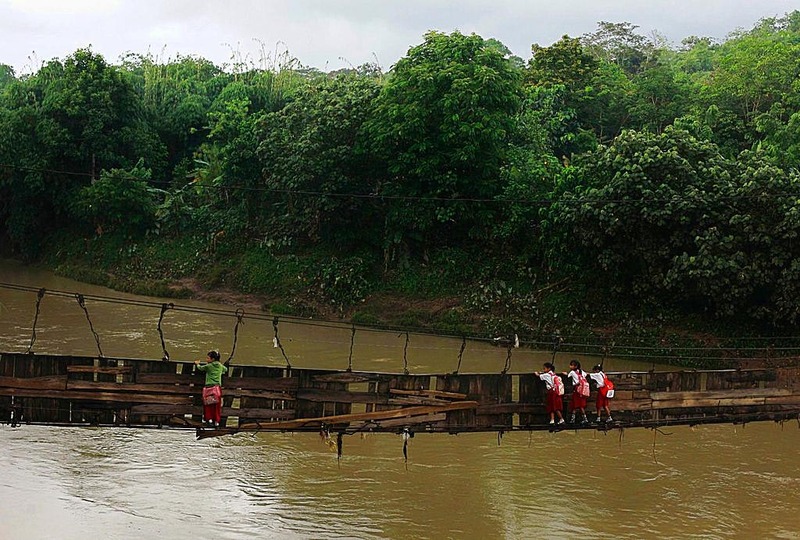 Fortunately, several NGOs are currently concerned with building safe bridges and gondolas to mitigate accidents. 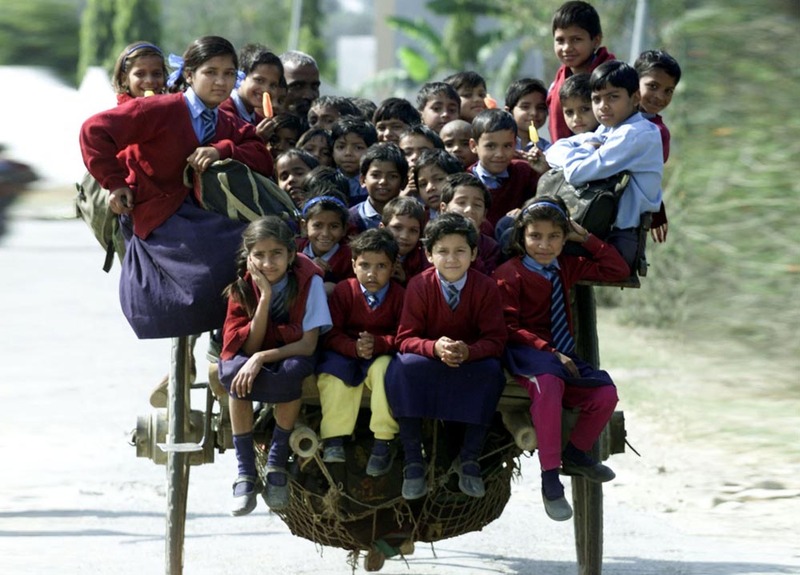 These children would die of desire to be able to go as we go to school warm by car. To do this they carry some large plastic bags to put their clothes and books. Nothing of great waterproof Barbie backpacks with wheels. 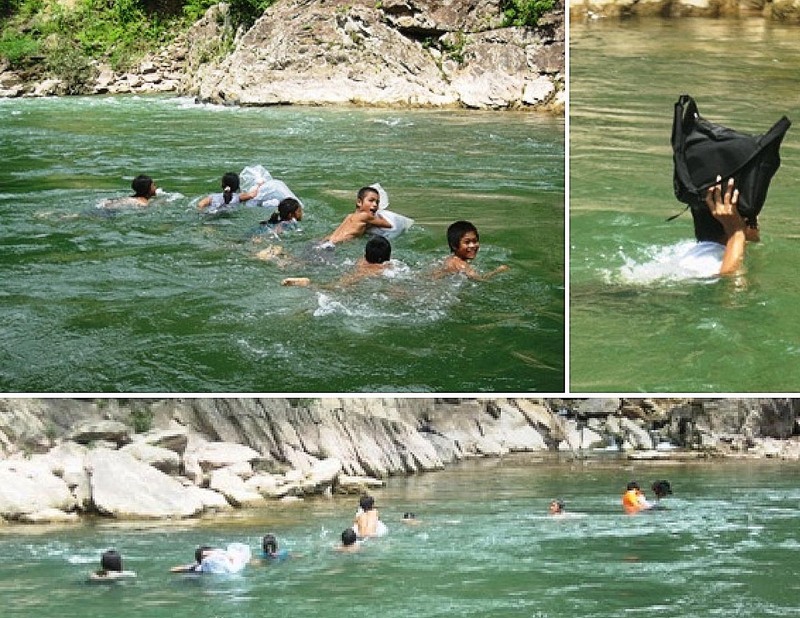 They inflate them to make their float-guide and daily they cross the 15 meters of river. During the rainy season they can’t go to school up to one month. The flow grows too large and would be dangerous to try. The current would take them forever. — What means that sign, Dad? The civil war (the war between brothers of the same country that always ends up destroying it) ended in Angola in 2002, but his ghost is still buried throughout the country in the form of mines and war engines. Those bombs putted underground by the big ones for the children accidentally step on them while playing or walking to school. Thousands of hectares of virgin and rich land remain unproductive for those ‘explosive seeds’. They are very difficult to destroy because they are so well hidden and always interfere in the life of the weakest, girls like the one in the photo, or like you. 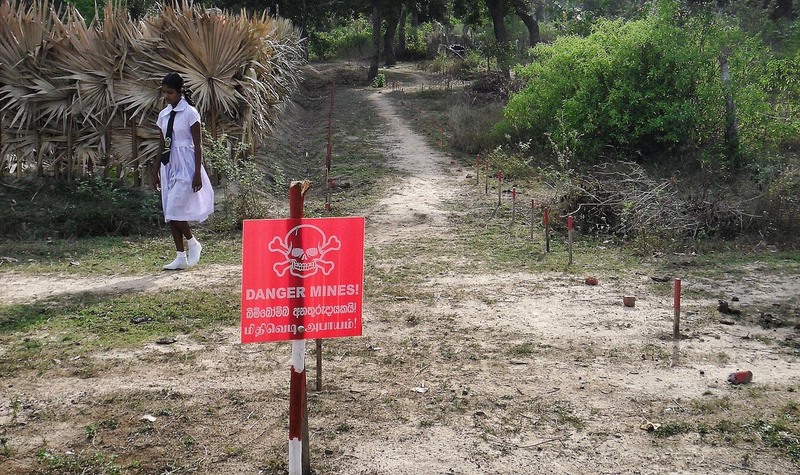 Although the rats that are used to disable mines, 80,000 accidents in 20 years become the way to school a life or death adventure, or a sentence to use wooden crutches the rest of his life. All for learning to be a better person and avoid repeating the legacy of those who refer to themselves as teachers. 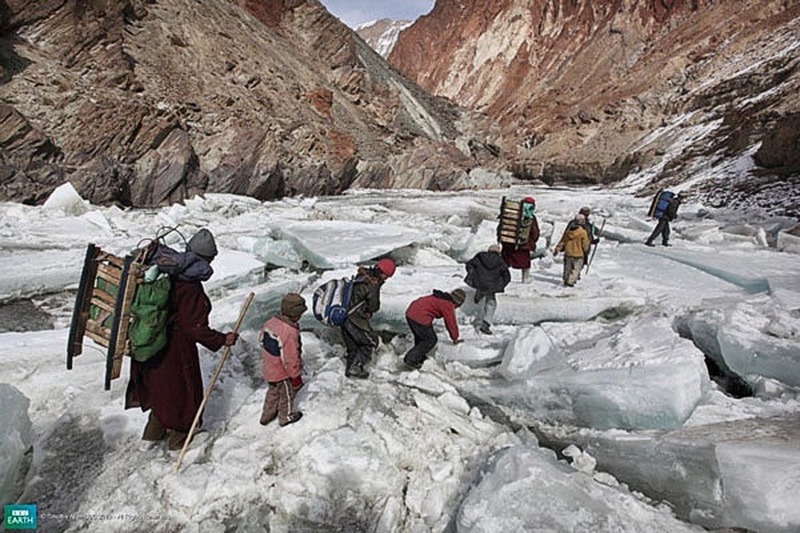 Imagine that for going to work you have to walk 200 km and cross ravines of thousands feet, clinging to the rocks and over frozen rivers. 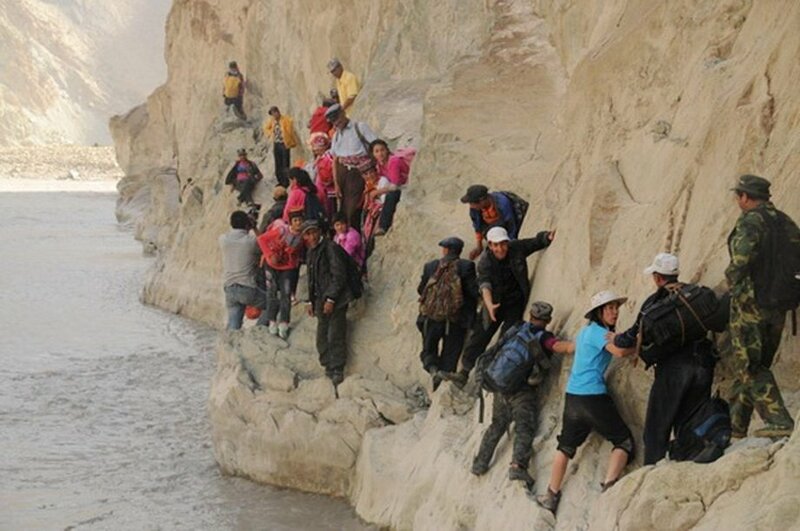 Imagine that it takes two days to arrive, wading four rivers, crossing rickety bridges and narrow roads just a few inches wide over the sharp rocks. 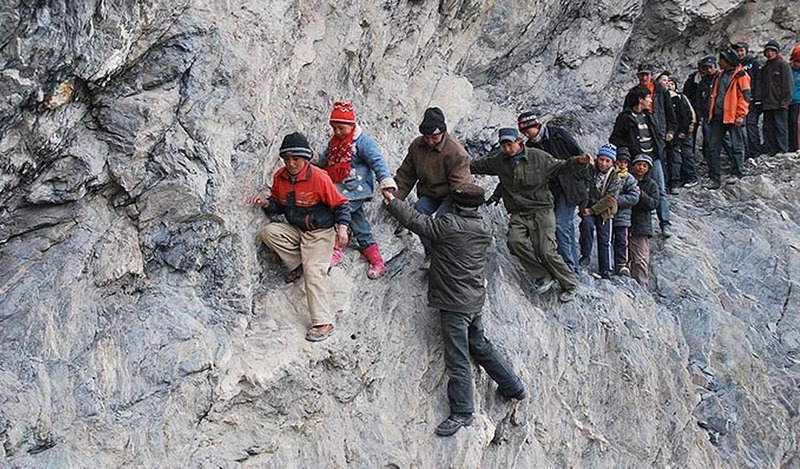 Imagine now that you’re not Tintin or other TV superhero but a girl like you who just want to go to learn at school… Approximately 80 children risk their lives daily using the cutoff by the vertical walls of Pili, a town northern Chinese region of Xinjiang Uygur. A show that looks like a children’s TV sport contest to win a trip to Disneyworld. But it is real. — These are children from a circus, Dad? Belts fastened, child seat as European legislation, regulatory chairs, baskets with harnesses … All that we review on each trip to school is a tall tale to these children. In Pematangsiantar, Indonesia (top) or in Baghpat, India (below) no one understands that vocabulary. 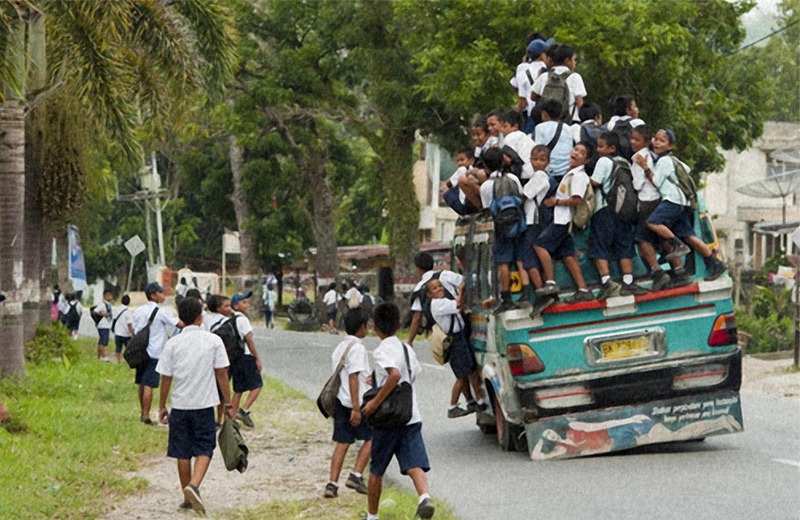 They rent the overcrowding variable traction vehicles in exchange for being on time for school. It may sound funny but … Can you imagine what would happen if the driver gives an abrupt halt because a dog cross in his way? — Dad, they are going to fall! — Fortunately, nothing happened, my child. 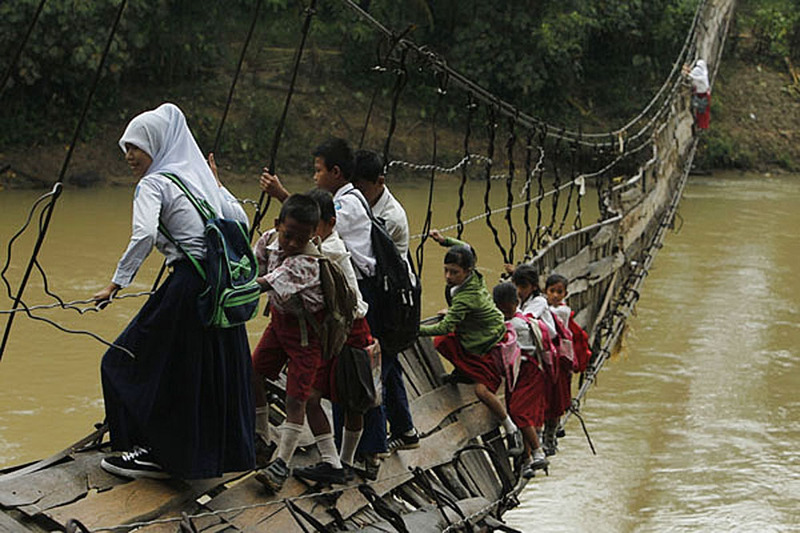 There was a storm that broke the bridge, but the children decided they could not stop going to school for nonsense. January 17, 2012. Torrential rains drag all kinds of weeds on the swollen river Ciberang, passing through the village Sanghiang Tanjung, in the Indonesian province of Bateng. The strength of the current hits and damages the community bridge piers (built in 2001) which links the town with the suburb of the school. The path is badly damaged but does not prevent to the children to keep crossing it from that day to follow to save 30 minutes of detour. A Reuters photographer was there to tell it. — Dad, why the police are protecting themselves with a shield and that girl does not? — She is very brave. March 16, 2010. 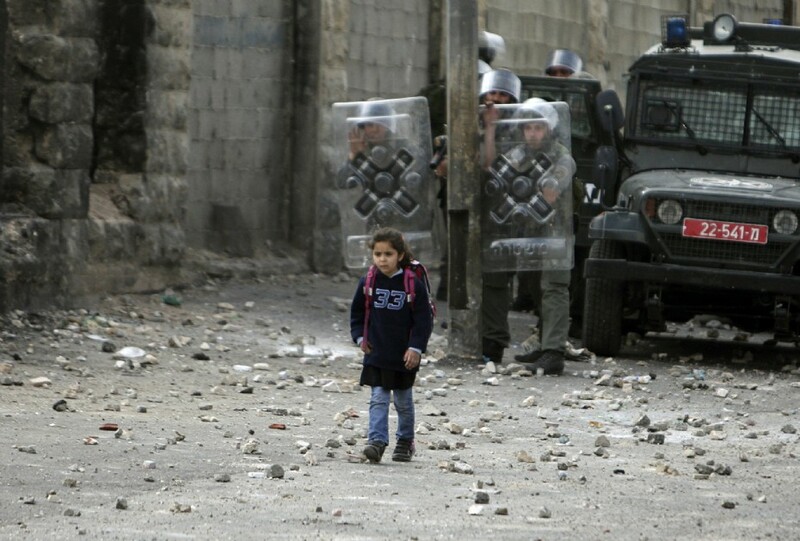 A girl with your age goes indolent dodging stones thrown by their Palestinian brothers against the Israeli military in its daily journey to school in the Shuafat refugee camp in the West Bank near Jerusalem. She seems not to mind the war between her brothers. Just want to go to school to show their homework. Does she seem brave, right? The Israeli-Palestinian conflict has become this childhood routine in a long and winding road full of obstacles for the children of this eternal war. — Where are going those children if there are no houses anywhere? — Are you still lazy to go to school today? Excellent items from you, man. I’ve take into account your stuff prior to and you’re just too great. essential photovoltaic inverter appetite. So, once the industry is gaining momentum and making an impact. S, yes, and we had a low priced oil environment. Estas historias de verdad son animadoras. En los Estados Unidos, no nos damos cuenta de que tienen que hacer los quienes viven en paises asi. These Children Almost Die Everyday. The Reason Why Makes Me Sick To My Stomach.